"Why mess around with Catholicism when you can have your own customized religion?" Fed up with his parents' boring old religion, agnostic-going-on-atheist Jason Bock invents a new god -- the town's water tower. He recruits an unlikely group of worshippers: his snail-farming best friend, Shin, cute-as-a-button (whatever that means) Magda Price, and the violent and unpredictable Henry Stagg. As their religion grows, it takes on a life of its own. While Jason struggles to keep the faith pure, Shin obsesses over writing their bible, and the explosive Henry schemes to make the new faith even more exciting -- and dangerous. When the Chutengodians hold their first ceremony high atop the dome of the water tower, things quickly go from merely dangerous to terrifying and deadly. Jason soon realizes that inventing a religion is a lot easier than controlling it, but control it he must, before his creation destroys both his friends and himself. Teenager Jason Bock thinks more about a confrontation with volatile Henry Stagg, his friendship with snail and slug-loving oddball Shinn, and his uncertain feelings for pretty Magda Price than he does about his faith. 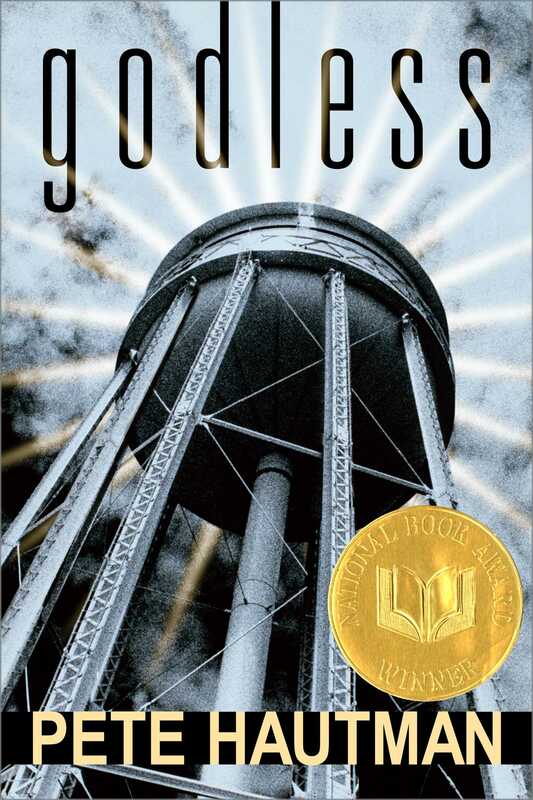 Then a simple gag makes faith the centerpiece of his summer: What if the town water tower is God? Jason shares his quirky observation with Shin and soon finds himself the head of a new religious sect of "Chutengodians" worshipping the metal edifice they now call the "Ten-legged One." As the hot summer days pass, some Chutengodians begin to take the existential mindgame more seriously than Jason himself. During a ceremonial midnight climb to the top of the water tower, the consequences of their passion turn from merely theoretical to near-deadly. Suddenly, Jason realizes that the "religion" he created has taken on a life-altering momentum of its own-one that he, perhaps, cannot control. While bringing to the fore penetrating questions about faith, Godless is also an insightful, often amusing narrative of what really goes on during a seemingly slow-paced teen summer. The novel neither exalts nor eschews established religion, but instead explores the nature of worship, the act of questioning one's beliefs, and the power of charisma and clever ideas. Jason Bock is a compelling antihero, a leader who never intended to lead, and an ordinary teenager facing the extraordinarily timeless challenge of wondering if there is a place for God in his complex, commodified, and mostly secular life. Pete Hautman grew up in St. Louis Park, Minnesota, attended both the Minneapolis College of Art and Design and the University of Minnesota, and worked as a sign painter, a graphic artist and a marketing executive before turning to writing. His first novel, Drawing Dead, an adult mystery, was published by Simon & Schuster in 1993. Since then he has written a number of other adult titles, such as Mrs. Million and Doohickey, and critically-acclaimed and award-winning titles for teens, including Sweetblood and No Limit. He won the 2004 National Book Award for Godless. Currently at work on a number of novels and nonfiction books, Pete also likes to read, play poker, run, hike, and cook. When queried about getting ideas for stories, he tells young visitors to his Web site: "There are plenty of ideas....The trick is to figure out how to fit those ideas together into a story. That's the hard part. And the fun part." He lives in Minnesota with mystery writer and poet Mary Logue and their two dogs, Renee and Jacques. 1. In the opening chapter of Godless, Jason Bock describes himself in terms of his appearance, his intellect, and his friendships. Based on his description, do you think you would be a friend to Jason? Do you consider Jason's view of himself positive, negative, or otherwise? Explain your answers. 2. What does Jason suggest is the reason Henry Stagg is not afraid to fight? Do you think Jason is correct? How is this observation an important element in the story? 3. What is Jason's father's position on Catholicism? Why does he enroll his son in Teen Power Outreach? What does Jason think about TPO? Why does he attend the meetings? Why do you think Jason treats "Just Al" in the way that he does? 4. At the end of chapter four, Jason wonders: "Why mess around with Catholicism when you can have your own customized religion?" Answer Jason's question. Is all you need to create a religion "a disciple or two. And a god"? Why or why not? 5. Is Jason serious about "Chutengodianism"? Why does he invite Henry, Magda, and Dan to join his religion? Why doesn't Jason consult Shin before inviting new group members and adding to the rules of the faith? For what different reasons do Magda, Henry, and Dan join the Chutengodians? 6. In chapter nine, Shin tells Jason that the reason for his strange conversation with Magda was that he was "channeling the Ten-legged One." What do you think he is really doing? What is the difference between Shin's water tower worship and the faith of the other group members? 7. Why doesn't Jason bring Shin along to learn how Henry climbs the water tower? Is the relationship between the two teens altered when their summer pastime changes from gastropod-collecting to water tower worship? Why or why not? Do you think Jason still considers Shin his best friend? 8. In chapter fourteen, Jason observes that leading a "growing religion" requires "too much politics. In other words, you have to lie a lot." What role does lying play in the evolution of Jason's religion? Do you think leadership-religious or otherwise-requires lying? Why do you think Jason makes this comment? 9. What is Shin writing in his notebook? What happens to his gastropod collection as his obsession with Chutengodianism intensifies? 10. In chapter seventeen, the members of Jason's new religion gather to climb the water tower. What happens to Shin when he attempts the climb? What happens when the remaining members enter the water in chapter eighteen? With what frightening event does the gathering conclude? 11. How are Jason and the other members of the Chutengodian group punished after Henry's fall? What changes take place in Jason's relationships with Magda, Henry, Dan, and Shin? 12. Why does Jason follow Shin to the water tower in chapter twenty-seven? What frightening and certain-to-be-punished action does Jason choose to take? How does Shin get out of the tank? 13. After being rejected by Dan in chapter thirty, Jason comments that "Maybe I'm a pawn of Satan. But I don't feel evil." Do you think Jason's actions were evil? Do you think he was the cause of the other kids' troubles? How would you explain Jason's ideas and actions? 14. What are the differences between the words "faith," "worship," "belief," and "religion"? List the reason or reasons you think most people attend a church, synagogue, mosque, or other place of worship. If you attend religious services, explain your reasons for doing so. 15. In the course of the story, does Shin hold any power over Jason? What are some of Jason's actions or choices that are affected by his protectiveness of Shin? Does Shin need Jason's protection? Do you think some friends wield different types of power over you, and/or require your protection? Explain. 16. How does Jason feel about the relationship between Henry and Magda? Do these feelings affect the way he structures his new religion in the course of the novel? What effect, if any, do his parents' religious ideas have on Jason's thoughts and actions? 17. Although he neither made the initial break into the water tower, nor suggested most of the seriously delinquent activities, Jason's father holds him responsible, noting that: "Your friends listen to what you say." Is Jason truly the leader of the group? Is his father correct about the influence Jason has over the others? Why or why not? 18. At the end of chapter thirty, Shin asks Jason, "How can you understand something you don't believe in?" Answer Shin's question. 19. The narrative of Godless is framed by Henry Stagg's two assaults on Jason. Although Henry is the "victor" in both instances, have Jason's feelings toward Henry changed? Who is in control of each of these situations, Jason or Henry? Explain your answers. 20. In the final pages of the novel, Jason expresses his envy for anyone with any kind of faith. Are there words other than "envy" that could be used to describe the sentiment Jason feels? What does it mean to have a religion but no faith? Can you have faith without a religion? Despite his uncertainty about religion at the opening of the novel, Jason is quite clear in his description of himself, his shortcomings, and his aptitudes. How would you describe yourself to others? Consider both your strengths, such as your ability to think, draw, play a sport, or perform on stage, and aspects of your personality about which you feel less confident. Write a paragraph or poem, create a collage, or draw a portrait that reflects many aspects of your self-image. Write your own definition of friendship, then find a dictionary definition for the term. Chart the names, along with brief descriptions, of the main characters in Godless. Circle the name of the character you believe is the strongest influence on Jason. Underline the names of characters Jason would consider friends, then number the friends from the best (one) to the least or worst. Share your chart with friends or classmates. Discuss how the chart relates to your understanding of friendship as defined at the start of the exercise. At the opening of the novel, Jason acknowledges his ambiguous feelings about religion. Have you ever questioned your faith? Write a brief essay describing this experience. Or write a list of questions you could ask your religion's god if you were to have the opportunity. Follow your essay or list with a paragraph explaining why you do or do not think questioning your faith is a beneficial exercise. Jason finds himself the founder of a new religion. Go to the library or online to learn how various religions began. If possible, divide into small groups of classmates or friends, each choosing one religion. Have each group create an informative, illustrated poster that includes a paragraph describing the origins of the religion, a timeline of key events, the names of important individuals, a list of major tenets of the faith, and information on the contemporary practice of this religion. Reread the "Chutengodian gospels" that open each chapter of Godless. Are these excerpts from Shin's notebook or are they from another source? In what way do the writings seem logical or intriguing to you? Go to the library or online to discover more about water as a religious symbol. Create an informative booklet about the water motif in one or more religions. Or paint a large sheet of paper with a mural of water imagery in such belief systems as Greek mythology, Native American philosophy, Buddhism, Christianity, Judaism, Muslim, or Hinduism. Charismatic leaders exercise critical influence over religious institutions, corporations, communities, and countries. Go to the library or online to research a religious leader, activist, politician, influential artist, or other leader from history. Write a short biography of your chosen leader then compare his or her ideas and actions with those of Jason Bock. In Shin's notebook, Jason discovers drawings of himself and others as water towers. Create your own characterizations of people by depicting them as water towers or other familiar objects. Or sketch a four to six panel cartoon in which characters with human emotions are portrayed as inanimate objects. Dramatize a Teen Power Outreach meeting from the novel. Write a script based on one or more of the TPO scenes in the book. Create a simple set with a half-circle of chairs. Choose friends or classmates to portray Jason, Just Al, Magda, and other characters. Rehearse and perform the scene for classmates or friends. Afterward, invite performers and audience members to discuss their feelings about the ideas presented in the scene. Throughout the story, Jason shares his thoughts about the other Chutengodians. But how do you think these characters feel about their leader? In the character of Shin, Henry, Magda, or Dan, write a journal entry describing your feelings about Jason at one or more points in the story. Share your fictional journal entries with classmates or friends. Discuss whether Jason would be surprised to learn how these characters feel about him. At the end of the story, Jason, abandoned by his Chutengodian followers, is performing community service and still wondering about God. What do you think happens to Jason next? Is water tower worship involved? Write an epilogue to Godless, describing Jason's first day back at school in the fall or another notable moment in his life. Questions about the need to believe and the impact of others on one's religious views are compelling themes in many literary classics. Read Somerset Maugham's The Razor's Edge, Yann Martel's Life of Pi, Evelyn Waugh's Brideshead Revisited, Graham Greene's The Burnt-Out Case, Arthur Miller's play The Crucible, or a similarly-themed work of your choice. Then write an essay in which you compare the images and ideas in Godless with those in your chosen work. Like Henry's horrible accident and Shin's apparent breakdown, many dramatic events have taken place in the name of faith. Go to the library or online to research one or more historical conflict that began partly or entirely because of religious issues. Next read through a current newspaper or news magazine to find a story involving religion-based conflict. If possible, learn about good works done by people of the same faiths as those involved in the historical and current conflicts. Create an innovative way to share your research with family members, classmates, or friends, such as a dramatization, art installation, music video, or computer game. 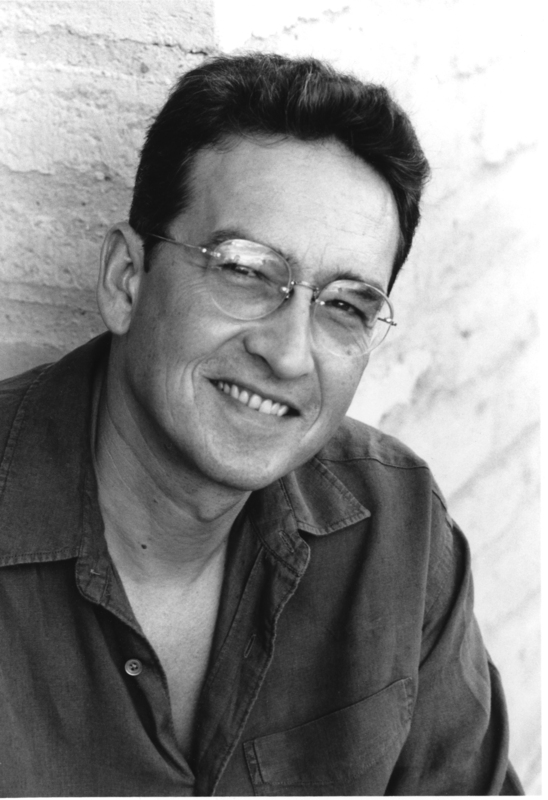 Pete Hautman is the author of National Book Award–winning novel Godless, Sweetblood, Hole in the Sky, Stone Cold, The Flinkwater Factor, The Forgetting Machine, and Mr. Was, which was nominated for an Edgar Award by the Mystery Writers of America, as well as several adult novels. He lives in Minnesota and Wisconsin. Visit him at PeteHautman.com. "Anyone who has questioned his or her religion, especially as a teenager, will respond to Jason's struggles with belief."